Empowerment of women is very essential to achieve sustainable development. There can be no sustainable development without the development for women. In the words of former president of India A.P.J.Abdul Kalam, “Empowering women is a prerequisite for creating a good nation, when women are empowered, society with stability is assured. Empowerment of women essential as their thoughts and their value systems lead to development of a good family, good society and ultimately a good nation”. Empowerment of women has become a subject of growing importance around the world in contemporary times. The concern is seen at different levels and circles which include governments, bureaucracy, non-governmental organizations, researchers, women’s groups and all those interested in women’s empowerment. 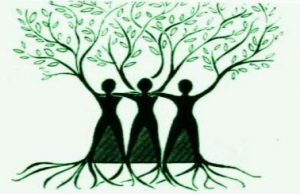 The concept of women’s empowerment is the outcome of several important critiques and debates generated by the women’s movements throughout the world since the eighties and particularly by the third world feminists’. Keeping all these in view the Government Degree College, Khairatabad has started An Women’s Cell for the empowerment and development of women. This cell will take care of the needs of the women staff members as well as women students. As a part of their activities this cell conducts various programmes like guest lectures/Extension lectures, health check-ups etc. They also celebrate women’s day celebration and other celebrations which are related to the women.